Every two or three years, the Society presents Awards to recognise people who have preserved and enhanced the town. 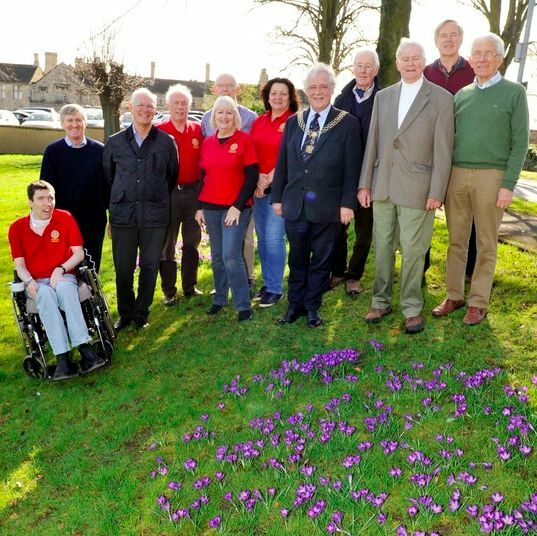 Photos (in March 2017) of the Presidents of the three Rotary Clubs of Stamford with the Mayor, members and pupils of the Stamford Welland Academy, who helped with the planting. St. Austin’s, Austin Friars Lane (accepted by Mrs Joyce Brewin with son Martin Brewin): for maintenance of their attractive garden on Melancholy Walk. Sinclair’s, St Mary’s Street (accepted by Mrs L Bowskill & Mrs K Grey): for their consistently good shop front. Cummins’ Volunteers (accepted by Steve Earl with Kevin Earl): for riverside improvement. Skate Park Volunteer Group (accepted by Marcus Stanier with Sally Jordan, John Judge, Jane Roberts and Jeremy Ball): for providing a facility for teenagers. David Ellis, Collyweston slating expert: lifetime award for craftsmanship. Dave Baxter: for his book digitising Henry Traylen’s slides. Paul Eastwood: for media and photography services to the Society. David Collins: for craftsmanship in keeping Stamford’s buildings in pristine condition. Hambleton Bakery (accepted by Mr Hart): for their sympathetic renovation of the shop front at 1 Ironmonger Street. The Corn Exchange (accepted by Mr Lee, Managing Director, and Mr Jones, Company Secretary): for the renovation of the building. 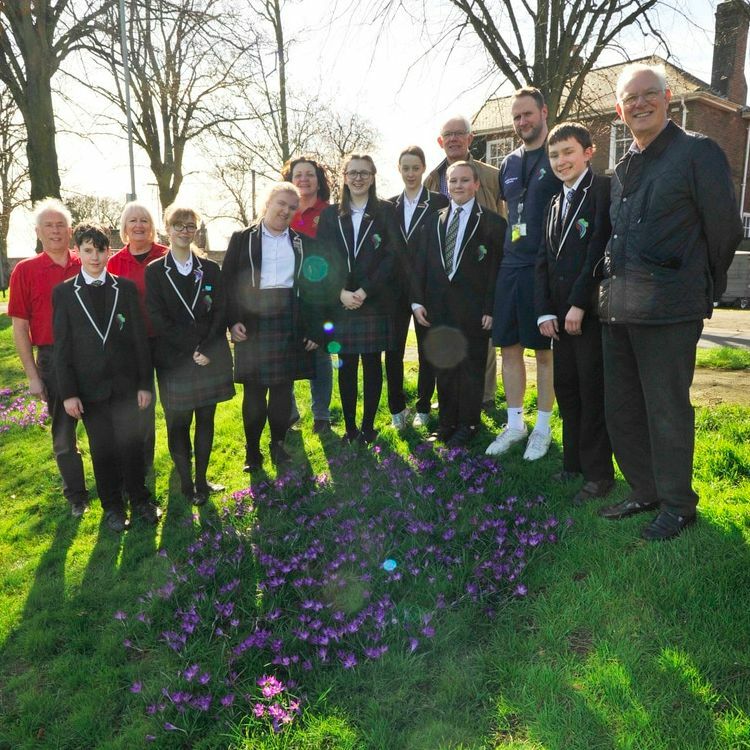 Crestwood and Frank Chapman, gardener (accepted by Martin Bust): for the cultivated verge in Church Lane. Peter Stevens: special award for services to the Society. Wolfgang Buttress: for the design of the Milestone on Red Lion Square. Ana Ruiz: for craftsmanship in carving the Milestone on Red Lion Square. Philip Heath: for the conversion of 22 Austin Street. Alan Short: for the refurbishment of 3 St Mary's Place, Stamford. E. Bowman & Sons Ltd: for the refurbishment of 3 St Mary's Place, Stamford.